Having to cut back on sodium can take a lot of tasty things out of the equation. Fortunately, SPAM® Less Sodium is not one of those things. 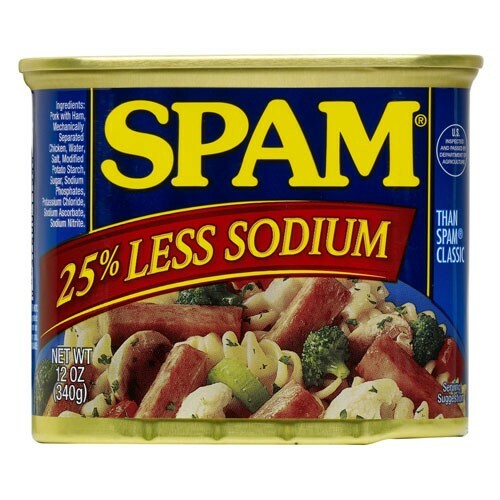 It provides the same delicious SPAM® Classic flavor with 25% less sodium. Theres no sacrifice with this meat treat! 12 OZ CAN *ADDITIONAL SHIPPING CHARGES WILL BE ADDED ON ANY FLAVOR. **CANNOT SHIP THIS PRODUCT OUTSIDE OF THE UNITED STATES.